Epilepsy is one of the many invisible illness people can have. In fact it is said that one in every 103 people have the condition. Considering how many people have epilepsy, there is still a stigma and a lack of knowledge amongst people that don’t have or know any one with epilepsy. I am a strong believer in trying to educate people that might not know that much about epilepsy. After all someone recently said to me knowledge is power. It is beneficial to learn about epilepsy as you never know when you might encounter some one with it. Now I am not a doctor or an epilepsy specialist, a lot of this is my own knowledge that I have learnt over the years since I was diagnosed in my early teens. Some of facts and myths are obvious to most people where as others are hopefully educating. The myth: Epilepsy is a form of spiritual possession. The truth: Although most people have long recognized that epilepsy is not a form of possession, some cultures still believe this. Epilepsy organizations are working hard to educate all people. Epilepsy is a medical condition, a disorder of the brain that causes sufferers to have recurrent seizures. The myth: You are born with epilepsy. The cause is genetic. The truth: Anyone can develop epilepsy at any time. Some people are born with it, whereas others have their very first seizure in middle age. While genetics can play a factor, there are other more common causes of epilepsy, such as head trauma, brain tumour or lesion and stroke. 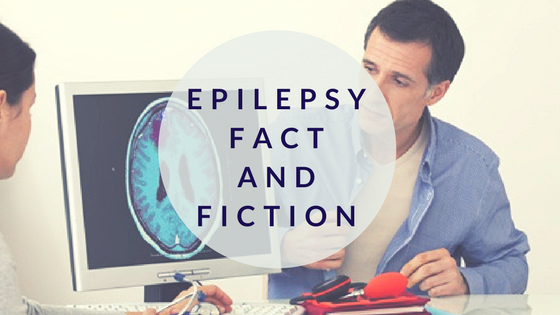 In most cases—roughly 70 percent—the cause of epilepsy isn’t known. The myth: Epilepsy affects intelligence. The truth: People with epilepsy on average have the same level of intelligence as those without epilepsy. Learning can be made more difficult if seizures are frequent, or if medication has very pronounced side effects, such as causing drowsiness and excessive fatigue. However, epilepsy typically does not cause lower intelligence. In fact, some very talented and brilliant people have epilepsy, including some pretty influential historical figures such as Sir Isaac Newton, Vincent Van Gogh, Ludwig van Beethoven, Agatha Christie and Napoleon. The myth: People with epilepsy can’t work, excel at school, have children or lead normal lives. The truth: You’ve probably guessed by now that having epilepsy doesn’t preclude someone from doing well at school, excelling in the workplace, having a family and leading a busy life. Epilepsy is a medical condition that can be managed and therefore people with epilepsy can often lead normal lives. The myth: There are only two types of seizure—grand mal and petit mal. The truth: In fact, there are more than 40 different types of seizures, grand and petit mal are old fashioned terms. Seizures can take many forms including a blank stare, involuntary movement, altered consciousness, a change in sensation or a convulsion. They can be split into 2 groups: Focal where one are of the brain is effected, Generalised where the whole brain is effected. The myth: During a seizure, you can swallow your tongue. The truth: it is impossible for someone to swallow their tongue during a seizure and therefore nothing should ever go into a person’s mouth during a seizure. The myth: Seizures are always medical emergencies and you should call 999. The truth: Actually, seizures are most often not medical emergencies and an ambulance is not always required. You should call 999, however, if: a seizure lasts five minutes or longer or repeats one after another without the person regaining consciousness in-between; it is someone’s first seizure; the person is injured during the seizure (through a fall, for example); the seizure happens in water; or the person is pregnant or has diabetes. The person goes stiff, loses consciousness and then falls to the ground. This is followed by jerking movements. A blue tinge around the mouth is likely. This is due to irregular breathing. Loss of bladder and/or bowel control may happen. After a minute or two the jerking movements should stop and consciousness may slowly return. Sometimes the person is not aware of their surroundings or what they are doing. They may pluck at their clothes, smack their lips, swallow repeatedly, and wander around. I hope this post has managed to help educate someone. This is such a useful post – I didn’t know half of this info! Thanks so much for sharing. Thank you for this post. I know very little about Epilepsy but this has given me some insight!! I had no idea it was so common!